It's that time of the year again.....no, I don't mean the holiday seasons but FLU season!! I have been down with cough and flu for the past couple of days. 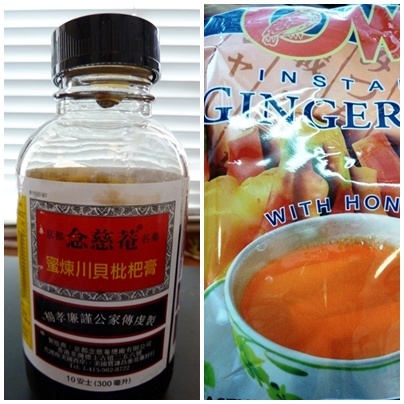 Apart from the flu meds, I have been downing lots of 川貝枇杷膏 as well as hot ginger lemon tea. I found these vit-C pops at TJMaxx last week for less than $5!! 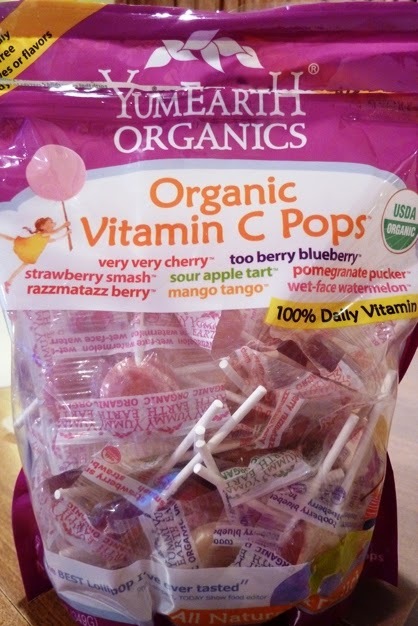 (retailing at Amazon for over $20) I've never had Vit-C that tastes so yummy. My friend from SG is visiting me in a couple of weeks time, I've asked her to bring over some Redoxon vita-immune....I think RG and I both need to put a good amount of Vit-C into our systems to fight the darn flu viruses. thanks Charmaine. nope...i haven't tried/heard of olive leaf/echinacea remedies....will google them later. thanks for the tips.